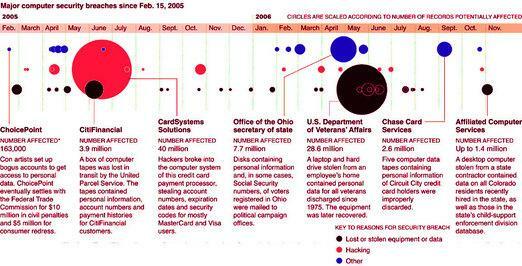 Following my previous post on "Personal Data Security Breaches - 2000/2005", you may also find this "Chart of Security Breaches for 2005 - 2006" worth taking a look at -- lost or stolen equipment with data dominate the threatscape. With the eye-popping big bubbles, and hundreds of thousands of people exposed due to the centralized and insecure nature of storing and processing their information, ask yourself why would an attacker ever bother to initiate a network level attack against a data aggregator nowadays? Consider the other perspective when it comes to data security breaches, namely "To report, or not to report?" a breach, and how is an organization supposed to report when they're not ever aware that personal information has already been exposed. Take your time to go through a very good resource keeping track of all reported data security breaches and notice the most common patterns for yourself. Great opinionated introduction to the topic. Trusted computing isn't the panacea of total security simply because there can never be 100% secure OS or a device, unless of course you put so much security layers in place to end up with zero usability, so what's it gonna be? Insecurities are a commodity, but security and usability issues are always a matter of viewpoint, so don't act as if you can provide 100% security, because what you're actually offering is a marginal thinking while proposing a solution. 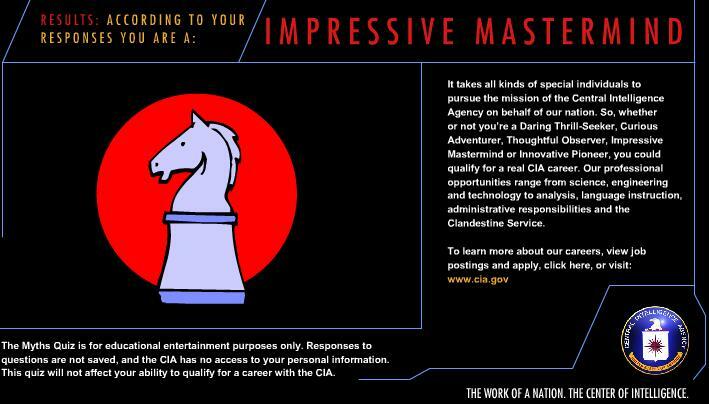 An impressive mastermind is what I got as a type of personality, quite a bit of suspicious flattery isn't it? I feel the quiz is more of an ice-breaker, and it's hell of an amusing one as a matter of fact. Hint to the CIA's HR department - promise to show the ones who make it up for a final interview a randomly chosen analyst's collection of secret UFO files, and see your conversion rates skyrocketing. Then explain them the basics of access programs based on classification and why they have to perform better. Arbeit macht access to secret UFO files as a factor for productivity, cute. More comments from another wannabe secret AGent. "However, on one flight, a test Raven attracted the attention of two nearby crows, who initially squawked a territorial warning at the UAV. Unsuprisingly undeterred by the warnings, the UAVs carried on on their descent and were subsequently attacked by the crows. See the video clip below. The UAVs were required to remain at low altitude for the duration of each sortie, airspace above the city forming part of the western approaches to Brisbane International airport." And no, don't even think on speculating of terrorists training divisions of crows to attack, or early warn of UAVs flying around the birds' air space, unless of course your wild imagination prevails. "In order to fake a fingerprint, one needs an original first. Latent fingerprints are nothing but fat and sweat on touched items. Thus to retrieve someone elses fingerprint (in this case the fingerprint you want to forge) one should rely on well tested forensic research methods. Which is what's to be explained here." Bow to the CCC's full disclosure shedding more light on a common sense insecurity. While it can be tackled by both ensuring the quality of the fingerprinting process, and by technological means such as adding extra layers or cross-referencing through different databases, multiple-factor authentication's benefits are proportional with their immaturity and usability issues. Fancy? For sure. Cutting-edge security? Absolutely from a technological point of view. But when fingerprints start getting more empowerment and integration within our daily lifes, malicious parties would have already taken notice, and again be a step ahead of the technological bias on fingerprinting. 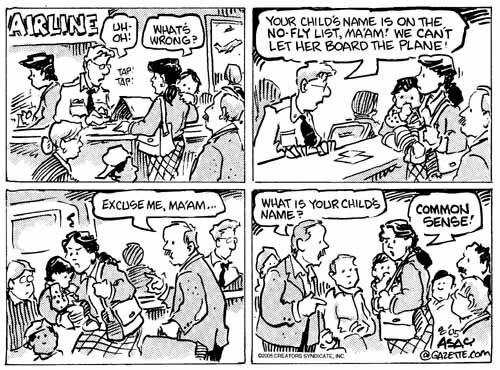 Coming up with new identities may indeed end up as a commodity neatly stored in a central database, or perhaps ones collected from elsewhere. No more "slicing the threat on pieces", now you can see the big picture for yourself. Privacy exposure assessments still remain rather unpopular among leading companies, and compliance with industry specific requirements for processing and storing personal information continue indirectly replacing what a Chief Privacy Officer would have done in a much more adaptive manner. Can we that easily talk about Total Privacy Management (TPM), the way talk about Total Quality Management (TQM) as an internal key objective for strengthening a company's reputation as a socially-oriented one? It would definitely turn into a criteria for the stakeholders, and a differentiating point for any company in question in the long term. The future of privacy? Don't over-empower the watchers or you'll have the entire data aggregation model of our society used against your rights for the sake of protecting you from "the enemy or the threat of the day". "Accountability, public commitment, or copywriters charging per word, privacy policies are often taken for fully enforced ones, whereas the truth is that actually no one is reading, bothering to assess them. And why would you, as by the time you've finished you'll again have no other choice but to accept them in order to use the service in question -- too much personal and sensitive identifying information is what I hear ticking. That's of course the privacy conscious perspective, and to me security is a matter of viewpoint, the way you perceive it going beyond the basics, the very same way you're going to implement it -- Identity 2.0 as a single sign on Web is slowly emerging as the real beast." Two more I can add -- answering without being asked, and on purposely stating the possibility as a negative statement already. Here's the article itself, as well as several more handy tips on detecting lies. Don't forget - if someone's being too nice with you, it means they're beating you already. Innovative, but a full scale violation of privacy -- what privacy with walking CCTVs nowadays?! "The world draws ever-closer to the dystopia imagined in Hollywood blockbusters -- police in London are to be equipped with head-mounted cameras which will record everything in the direction the officer is looking. The tiny cameras are about the size of an AA battery and can record images of an extremely high quality. Claimed to be a deterrent for anti-social behaviour, the first run of head-cams are being tested by eight Metropolitan beat officers this month. If successful, all police officers will eventually be equipped with a head camera. These new 'robocops' add to the growing number of surveillance machines that peer at the public. Cynics argue that the logical progression of the police head-cam will be head-cameras that all citizens are required to wear. 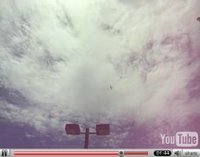 The video data would be relayed back to a central database where transgressions are recorded by a computer." George Orwell is definitely turning upside down in his grave in the time of writing, and it's entirely up to you to come up with the possible scenarios for abusing this innovation -- The Final Cut too, has a good perspective. Think that's not enough to raise your eyebrows? British Telecom is also about to "put thousands of spy camera recorders in its phone boxes and beam suspects mugshots to police. Cameras stationed on top of lampposts near the kiosks will send images to hidden digital video recorders inside the booths. Suspects photos will then be messaged almost instantly to hand-held digital assistants used by police and emergency services." There's a saying about not looking anyone straight into the eyes on the mean streets of New York, guess the same applies to not looking straight into the eyes of London's police anymore. Every country needs an EFF of its own, especially the U.K these days. 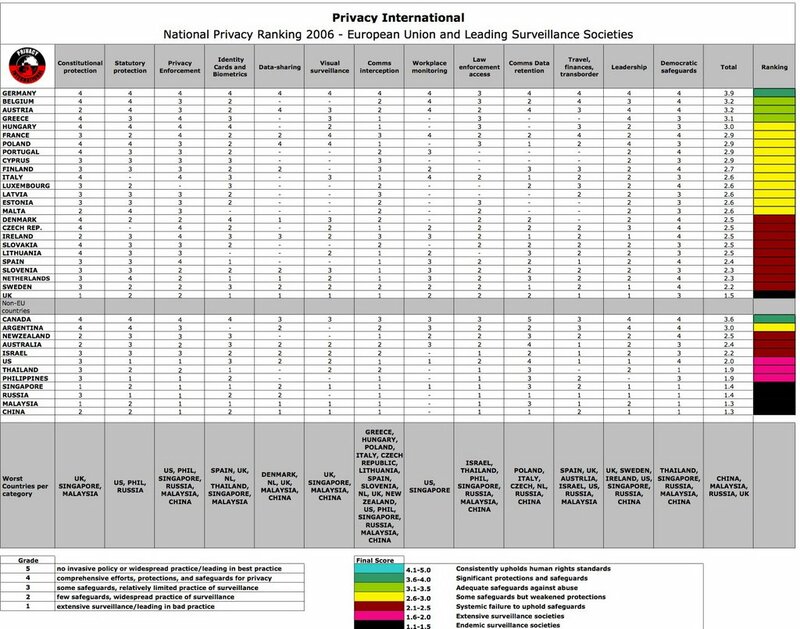 To illustrate what I have in mind, EPIC's listing the U.K at the top of the leading EU surveillance societies, and you may also find the U.K's opinion on its state of total surveillance, informative as well. Finger-mounted keyboard chick courtesy of Kittytech. Just noticed that the reading materials for the course are also listing my "Steganography and Cyber Terrorism Communications" post. Looks nice! "Eventually, Andersen said, the big but light telescopes could solve a spy-satellite conundrum. Now, those camera equipped satellites must fly closer to Earth to generate usable pictures. That means their orbits exceed the speed of Earth’s rotation, so the satellites cannot spend much time photographing one location. If spy satellites had huge telescopes, they could be placed higher above the planet in an orbit that moves at the same speed as Earth’s rotation, so they could photograph the same region constantly." There's just one tiny comment that makes a bad impression - “That way, you could keep a constant eye on someone like Osama bin Laden” he said." In exactly the say way a security consultant wrongly tries to talk top management into increasing a budget by using the buzzword cyberterrorism, it wouldn't work and it's a rather desperate move. Even though, in case you're interested in keeping track of Bin Laden's desert trips, make sure you add a detection pattern for a white horse riding through Afghanistan. Go through some of my previous posts to catch up with my comments on related topics. "We hear Deutsche Bank’s super-suped-up security extends beyond just the beefy armed guards patrolling the street outside its headquarters at 60 Wall. Yesterday apparently a consultant who was scheduled to attend a meeting at the bank was denied entry because his name appears on the federal “no fly” list. “It was the most intense security I've seen, except for maybe the Israeli consulate,” a source who was present when the consultant was denied entry tells DealBreaker." "Sanchez said her staff had booked her a one-way ticket from Boise, Idaho to Cincinnati through Denver. Her staff, however, was prevented from printing her boarding pass online and were also blocked from printing her boarding pass at an airport kiosk. Sanchez said she was instructed to check in with a United employee, who told her she was on the terrorist watch list. The employee asked her for identification, Sanchez recalled. "I handed over my congressional ID and he started laughing and said, 'I'm going to need an ID that has your birthday on it,'" Sanchez said in a phone interview with The Associated Press. The employee used Sanchez's birth date to determine that she was not the same Loretta Sanchez listed in the database and she was able to board her flight, she said." Bureaucrats don't just slow down innovation and take credit for it, but when they also fall down from a window it takes a week for them to hit the ground. Last week, the Internet Haganah reported on rumors around jihadist forums, namely, that the CIA has been attacking jihadi web sites. Now while this is totally untrue -- the CIA would rather be monitoring instead of shuting them down, or shut them down only after they've gathered enough info -- it's a good example of twisting the facts to improve the productivity and self-esteem of the jihadists supposed to strike back. Confused Bill Gates, but a regularly attacked one too. A rather predictable comment given he's not the only one selling the chewing gums and the soaps this time, so keep on bubbling folks. Think mature Web 2.0, think Semantic web, or at least dare to envision -- Microsoft wishes the Internet was never invented, unless of course they could sell you the license to use it. "There are a hundred YouTube sites out there," Gates said during an interview with a group of journalists in Brussels before a speech to European lawmakers. "You never know. It's very complicated in terms of what are the business models for these sites." Some of them, including sites that offer Web-based word processing and search engines, are being promoted by their creators and analysts as possible competitors to makers of retail packaged software like Microsoft. "We're back kind of in Internet-bubble era in terms of people thinking: 'O.K., traffic. We want traffic. We want traffic,'" Gates said. "There are still some areas where it is unclear what's going to come out of that." The very basics of Internet marketing which transform branding into communication, segments into communities for instance doesn't necessarily mean that traffic is the cornerstone of E-business. Eyeballs, thus participants marely visitors converted into revenue sources speak for themselves. Win-win-win business models need no comment. Once you get the traffic, boy, what wonders are there for you to discover, sense and profitably respond to. But then again, keep in mind that search and online video represent a tiny portion of the overal Internet user's activities. Don't look for the next Google, or the next YouTube, look beyond. "Microsoft said that it would invest $7.8 billion globally in research and development this year, about 15 percent of sales, and it plans to spend $500 million in Europe next year. 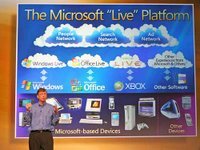 Microsoft operates its main European research center on the campus of Cambridge University in England, with other research offices in Denmark and Ireland." While it's also cheaper to operate them in Europe than in the U.S, money cannot buy innovation and many other things, so don't get too excited but learn how to surf tidal waves, the ones Bill Gates himself predicted back in 1995. 5 things Microsoft can do to secure the Internet, and why it wouldn't? "Another toolkit example is Nuclear Grabber, which allows an attacker to sit on a real banking site and grab data from electronic forms. Like WebAttacker, this tool is available on Russian websites. The cost of Nuclear Grabber is a hefty $3,000." It's actually "3250 USD for a server size of 50-53kb" as the site says -- perceived pricing and profit margins greed thankfully ruin its popularity from my point of view. Advanced form grabbers like this one are always very ugly -- tavarish chto vui being so knowledgeable, yet so malicious messing up with the entry barriers in this space?! Full scale automation in action, quite some infected folks geolocated already. Going to wash my hands now.. This is worth mentioning, as while you try not to talk about these locations for as long as someone doesn't start blowing the whistle too loud, all you really need is someone to pass by and feel the hyper-sensitive harassment due to Trimingham's ELINT capabilities -- and news articles keep coming about this particular case. 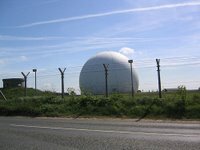 "The Ministry of Defence has admitted that a fault at a radar dome was responsible for causing electrical problems with dozens of cars. Engines and lights cut out and speedometer dials swung up to 150mph as motorists drove past the dome. At the time the MoD said there was no guarantee that the Trimingham radar on the north Norfolk coast was the cause." "Another story that might be of interest relates to the time that a Russian trawler went aground at Skaw. The indications were that it was an Elint (Electronic intelligence gathering) vessel as the crew hid what they were doing from an RAF Shackleton which flew overhead as part of the search and rescue mission. Whether there was any spying equipment on board is debatable. In any event, the Unst folk did well in "liberating" fishing nets and sundry bits and pieces including the steering wheel, which was subsequently returned to the Russians. However, two RAF lads ­ a steward and a cook ­ found signals, maps and other papers in the skipper's cabin, some of this hidden under his mattress. They brought these back to me and our station intelligence officer had a look at them. By chance he was a Russian linguist and was able to provide a summary of what was in the documents before they were forwarded to the RAF intelligence staff at the Ministry of Defence. One of the documents proved extremely valuable to the Navy but what amazed them was that the translated summary had been done by an RAF flying officer on Unst." 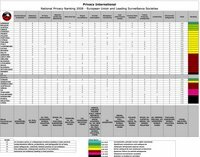 You may also be interested in going through a table that "includes all military sites which have significant intelligence-gathering or analysis capability with official US presence; these are the sites which have figures for numbers of US and UK personnel". Trimingham's radar dome courtesy of munkt0n, and Flickr's Radars group. Why's that radar screen not blinking over there? 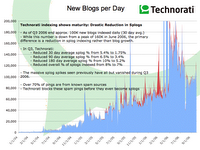 Just read Technorati's latest "State of the Blogosphere, October, 2006" presented with in-depth visual stats on the 57 million blogs they're currently tracking, and yes, all the splogs they're fighting to filter. Worth taking your time to go through the post, and you may also be interested in finding how come my ROI out of blogging is so positive these days. "As we’ve said in the past, some of the new blogs in our index are Spam blogs or 'splogs'. The good news is Technorati has gotten much better at preventing these kinds of blogs from getting into our indexes in the first place, which may be a factor in the slight slowing in the average of new blogs created each day. The spikes in red on the chart above shows the increased activity that occurs when spammers create massive numbers of fake blogs and try to get them into our indexes. As the chart shows, we’ve done a much better job over the last quarter at nearly eliminating those red spikes. While last quarter I reported about 8% of new blogs that get past our filters and make it into the index are splogs, I’m happy to report that that number is now more like 4%. As always, we’ll continue to be hyper-focused on making sure that new attacks are spotted and eliminated as quickly as possible. My gut feeling is that since we're better at dealing with Spam now, even some of the blue areas in last quarter's graph were probably accountable to spam, which would mean that rather than the bumpy ride shown above, we're actually seeing a steady increased (but slower) growth of the blogosphere. Hopefully we'll be able to have a more detailed analysis of these issues next quarter." Meanwhile, the splogfigher is doing an amazing job of analyzing and coming up with exact splog URLs -- I'm reposting so that third-parties of particular interest reading here take a notice -- and week ago came up with 150,000 splogs, notice the dominating blogging platform? Blogspot all the way! "I see that Google has been deleting quite a large number of splogs but even then they are on average about 20% effective. What that means is if a single spammer creates 1000 splogs, Google will eventually delete at most about 200 of them leaving 800 alone. Obvously this is rather poor percentage and hopefully my efforts will bump up that figure close to 90% and above. 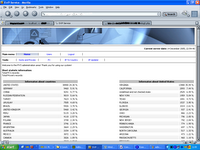 Here is a tarball of all splog list files listed above: 20061030.tar.gz"
Obviously, spammers are exploiting Blogspot's signup process, and I really feel it's about time Google starts tolerating more errors with users having trouble reading a sophisticated CAPTCHA, compared to its current too user-friendly and easily defeated one. They can balance for sure. 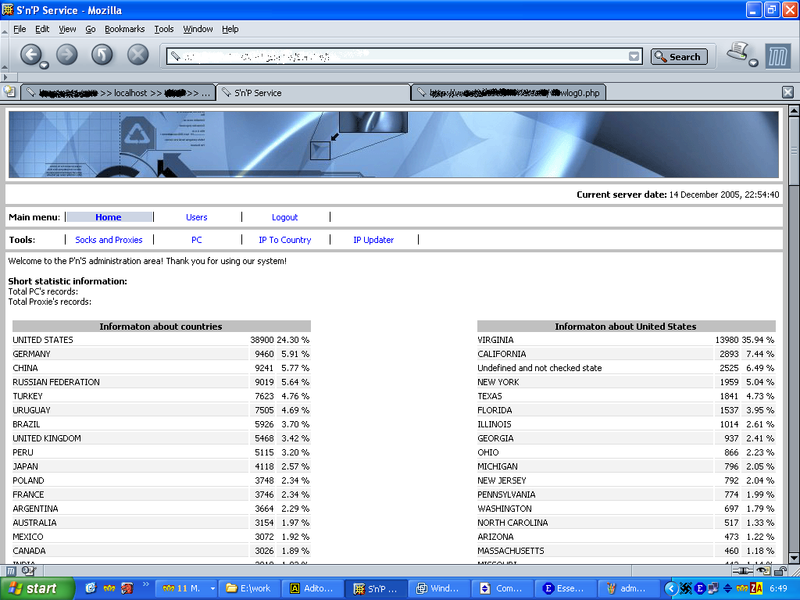 Something else to consider, take for example the splogs collected for May, and whole the splogfighter is pointing out on the engineered 404s and Google's efforts in removing them, I was able to verify content response from over 200 splogs reported back then, take cigar-accessories-2008.blogspot.com for instance -- anyone up for crawling the lists and clustering the results? Once the signup process is flawed, not even the wisdom of crowds flagging splogs can help you. Another recommended and very recent analysis "Characterizing the Splogosphere" is also full of juicy details, and statistical info on the emerging problem. Spammers are anything but old-fashioned. Wish I could blog everything I read and makes me an impression but that's not the point. The point is to emphasize on the big picture, and find the balance between information overload and information underload. "Immune Attack is a first person strategy PC video game that teaches immunological principles through entertaining game play. The protagonist, a teenaged prodigy with a unique condition in which the immune system is “present, yet non-functional”, must pilot a microscopic nanobot to save his own life. He must teach his semi-functional immune system to fight off diseases and bacterial/viral infections by programming individual cell types. This programming is accomplished through the successful completion of various educational minigames, each of which teach a central immunology principle and, once completed, confer added ability to the selected cell type." Here're two more reports you may find informative on the future of learning through games -- the game addicts still got a chance. "The University of Santa Barbara's software group released the source code for their proof of concept 'Feakk' worm that was developed by Paul Haas in March 2005. 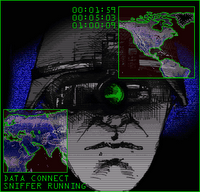 The worm uses SMS to send a hyperlink to its target. The targeted user then has to visit the hyperlink and download and acknowledge three sets of prompts in order for the worm to install, at which point it will immediately start to run in the background. It will scan the user's contact list and send a message to each contact (including the recipients' names) and will also scan for new contacts at certain intervals. 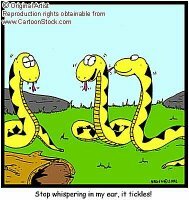 Upon installation, the worm checks for a contact with the first name "HACKME." If this isn't found the worm will exit. If it is found, then the worm sends itself to every mobile number it finds in the user's contact list. The author did not write a payload because this was for demonstration purposes only and it should be noted that it can be removed via the "Uninstall List." "Malware authors indeed have financial incentives to futher continue recompling publicly available PoC mobile malware source code, and it's the purchasing/identification features phones, opening a car with an SMS, opening a door with an SMS, purchasing over an SMS or direct barcode scanning, mobile impersonation scams, harvesting phone numbers of infected victims, as well as unknowingly interacting with premium numbers are the things about to get directly abused -- efficiently and automatically." Digitally fingerprinting mobile malware may be marketable, but it's rather useless as we've seen in the past compared to basic user awareness.